Drama Centre London alumni Penelope Wilton and John Dagleish both scooped prizes in the Olivier Awards 2015 with Mastercard. 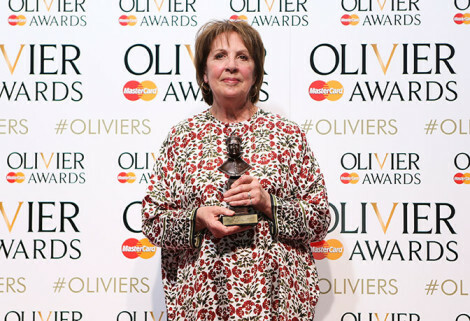 Penelope Wilton won Best Actress for her role in Taken at Midnight at the Theatre Royal Haymarket. She gave a harrowing and steely performance as a mother fighting for her incarcerated son in Nazi Germany. John Dagleish was named Best Actor in a Musical for his portrayal of The Kinks frontman Ray Davies. He played Davies in Edward Hall’s production of Sunny Afternoon. Alumnus Ronan Bell was also nominated for Best Actor in a Supporting Role in a Musical, for the part he played in Memphis the Musical at the Shaftesbury Theatre. Since their inauguration in 1976, the Olivier Awards have been known as a mark of theatrical greatness. The winners are chosen by a mixture of distinguished industry professionals, theatre luminaries and members of the public.